2016 is the first year in over a decade in which I haven’t worked at a video store, which has noticeably affected how many movies I’ve seen since January. As we approach the final third of the year, though, when Oscar hopefuls like The Birth of a Nation and Fences will compete with precision-crafted entertainment like Rogue One: A Star Wars Story and Fantastic Beasts and Where to Find Them, I’ve still seen at least ten movies worthy of strong recommendation. These are the ten best movies of 2016 — so far, at least. Filthy and brilliant, Sausage Party takes a Toy Story-esque premise — grocery store food is actually conscious and hopes to be chosen by customers, unaware of the kitchen horrors that await them — and finds a way to not only be one of the funniest R-rated comedies in years but a rather insightful examination of the loss of one’s faith, to boot. Zootopia is truly of-the-moment, not just in the creativity and originality of the complex world it draws but in how smart it is about the caustic effects of xenophobia, racism, and intimidation in civilized society. Jason Bateman’s turn as the sly, sardonic fox Nick also happens to be one of the greatest performances within animation since Robin Williams’ work in Aladdin. Shane Black’s spiritual sequel to his hysterical detective comedy (and best movie of 2005) Kiss Kiss Bang Bang, The Nice Guys is another brilliant pairing of a nervous motormouth and a short-fused tough guy, this time set in the hip ‘70s. Ryan Gosling and Russell Crowe make a surprisingly strong pairing, reluctantly teaming up to track down a missing girl, if they can tolerate each other for long enough. In the wake of the “gay Sulu” debate, the sadness of Anton Yelchin’s passing, and the buried resentment over Star Trek Into Darkness, audiences didn’t flock to see Star Trek Beyond, which is a true shame. One of the best sci-fi/action movies of the year got the same adrenaline kick the Fast & Furious series got, when director Justin Lin took the helm of this entry and crafted the best Star Trek sequel (if you count the reboot as an original) in 20 years. Don’t be dissuaded by the title. Despite any negative feelings you may have about the 2008 monster movie Cloverfield or how unfamiliar you may be with it, 10 Cloverfield Lane is its own beast. The greatest lifeboat thriller so far this year, the simplicity of being stuck in a bunker with only three characters (Mary Elizabeth Winstead, John Goodman, and John Gallagher, Jr.), as you try to piece together the truth of their situation and the mystery of their story, displays a talent worthy of notice in director Dan Trachtenberg. As much as people went crazy for the nostalgia of Stranger Things this past summer, it was second to Donald Trump’s The Art of the Deal: The Movie in perfectly executed ‘80s-ness. Adapting Trump’s actual memoir into a phony, ‘80s-set self-help video and starring a ridiculous Johnny Depp as the real estate mogul turned lesson-teacher, the FunnyOrDie movie elevates itself above a skit turned feature-length with sublime running jokes, subtle satire about Trump’s personality that cuts early and bleeds later, and intentionally cheesy VHS effects. Plus: ALF! Few directors can capture the magic and wonder of childhood better than Steven Spielberg, and the man who brought the world E.T. : The Extra-Terrestrial and Hook returned with another phizz-whizzing ringbeller this summer: The BFG. Roald Dahl’s tale of the orphan Sophie and her adventures in Giant Country is perfectly suited to Spielberg’s skills and sensibilities. Mark Rylance, who won an Oscar six months ago for Bridge of Spies, gives one of the most powerful performances of the year as the titular giant. 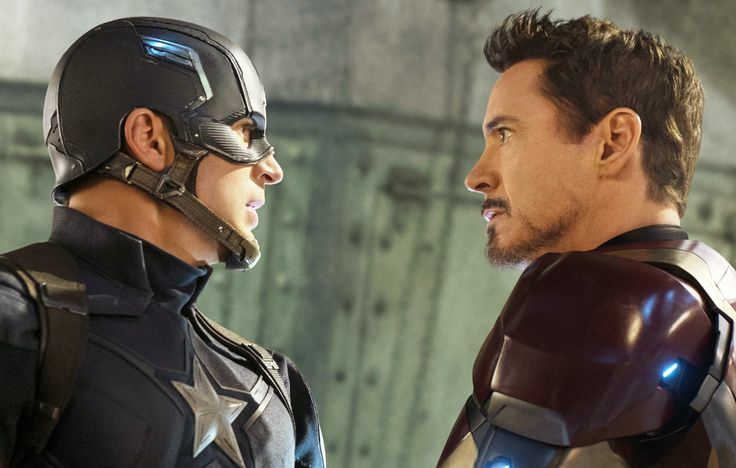 The first Captain America movie was the worst of the Marvel Cinematic Universe, while sequel The Winter Soldier was the very best, so all eyes were on Civil War to see which way it landed. While it didn’t quite match the skill and execution of The Winter Soldier, Civil War — with returning directors Joe and Anthony Russo and a mammoth cast of all-star actors — proved still to be superior to both The Avengers and The Avengers: Age of Ultron. The best documentary of the year so far is exactly the type of movie the genre can produce at its best. Weiner follows disgraced Congressman Anthony Weiner and his run for Mayor of New York City in 2013, playing out with timing that would seem too unrealistically perfect in a scripted comedy. By blessed serendipity, the doc crew follow Weiner as, just when on the verge of fixing his image and making serious headway in his campaign, a second sexting scandal breaks. There are a lot of really good animated movies, but animated masterpieces come along quite rarely. Kubo and the Two Strings, a stop-motion effort from the makers of Coraline, manages the deceptively difficult task of creating a truly timeless picture. While most movies dream of having just one moment that indelibly burns into your memory; Kubo has more than can be counted on one hand. Most of all, it’s the pinnacle not just of the year so far but of anything stop-motion animation has so far accomplished, resulting in a film unlike anything before it.